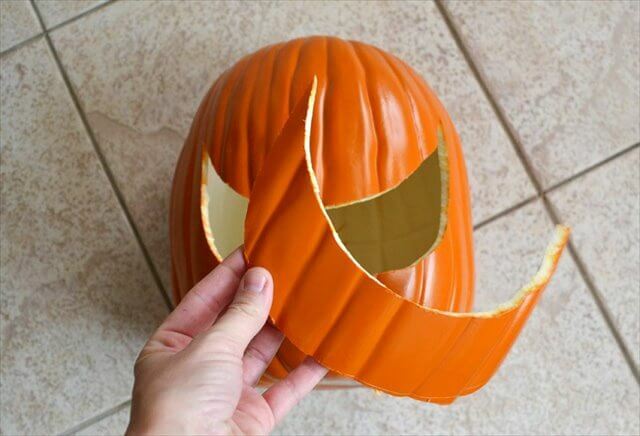 Halloween is about to knock at your door soon so start preparing for the decorations now. 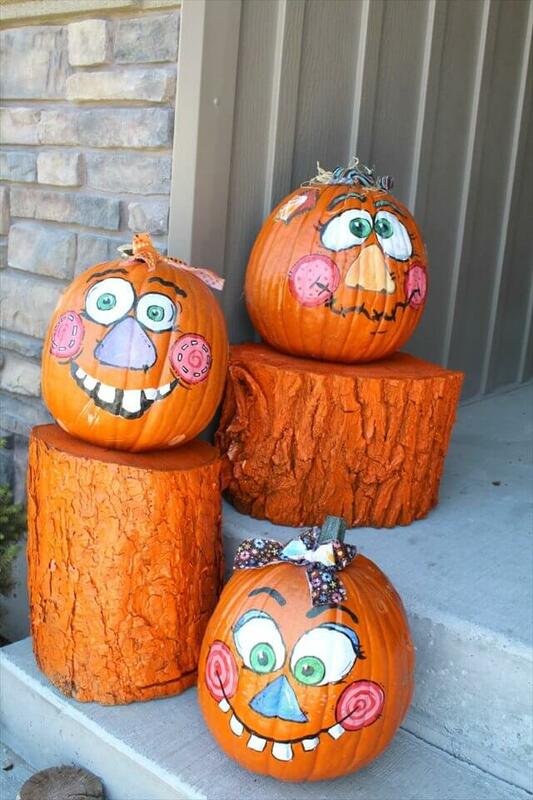 Every Halloween celebration and decor is incomplete, without a creative and fun use of cute and sweet pumpkins. 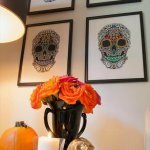 Pumpkins are abundantly found and are very cheap to be used for the decor of your house to save your hardly earned money. 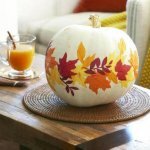 If you are also planning pumpkins to be an integral part of your decor then have a look at these DIY 10 craft pumpkin ideas to start with some amazing and cool plans. 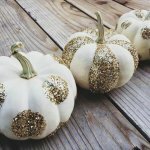 To dress up and restyle the pumpkins you would need some home supplies like scissors, knife, paint and glitter etc. so grab all the accessories, pick up your favorite ideas from our round up and start the fun. You can make carving on the pumpkins making laughing, grinning faces on them with big howling eyes. Or you can paint them with versatile colors with some funny faces to pleas the children. Frankenstein face paint on the pumpkin is best option for Halloween. 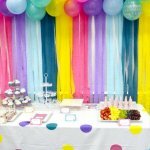 Or just simply cover them with colorful glitters for a luster display. 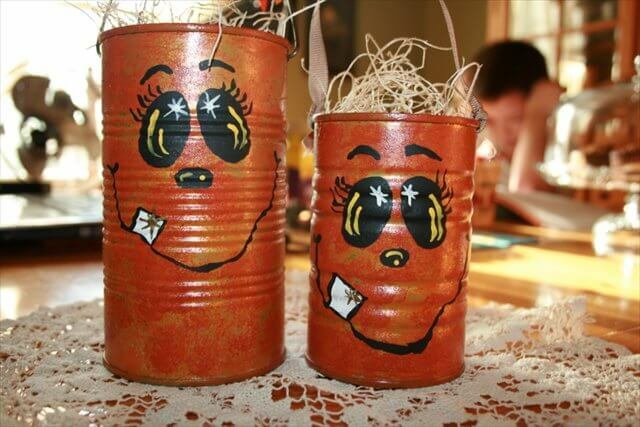 Small tin cans and wooden logs with pumpkin color paint and some cartoon faces would make a great appearance for Halloween decor. 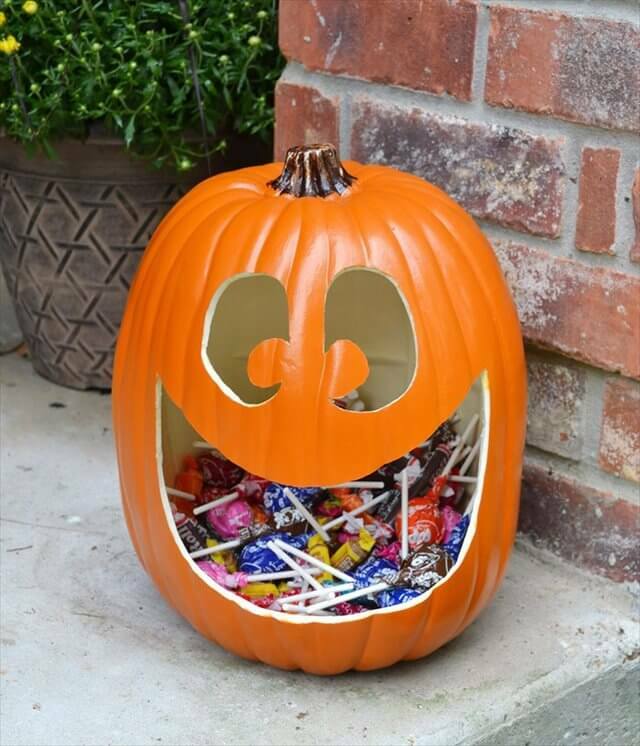 By cutting the pumpkin into two halves, you can make a perfect candy container for the trick or treat. Painting the pumpkins black and printing stenciled alphabets on them you can create a word find game with pumpkins for Halloween party.